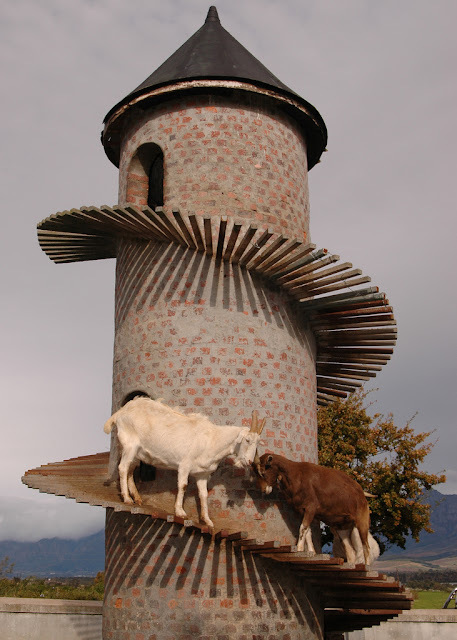 What do you do when you own a group of Swiss Mountain Goats but there isn’t anywhere for them to climb? 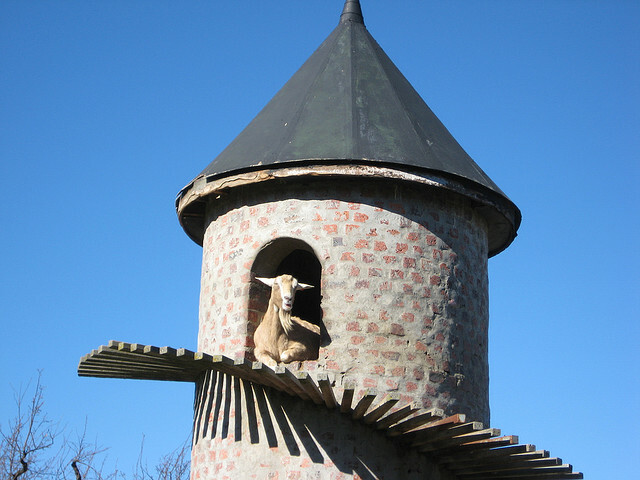 The answer that South African farmer Charles Back came up with was to create a domicile for his goats that would help keep them fit as well as giving them an altogether butter kind class of goat shed. 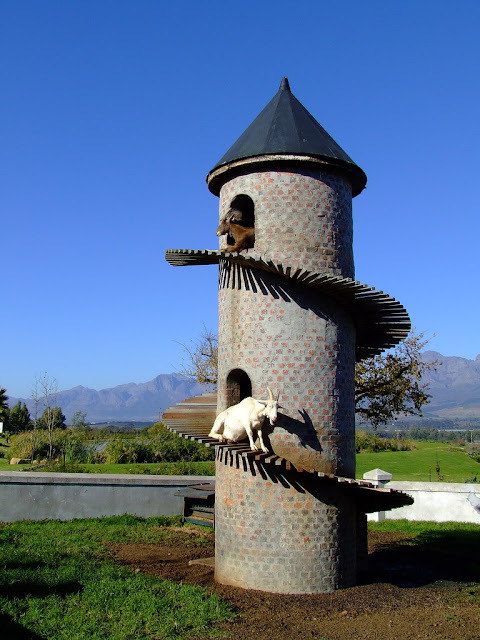 Unfortunately there are over 600 Saanen goats on Back’s farm – the Fairview Wine and Cheese Farm in the Paarl area of South Africa, just a short journey from Cape Town. 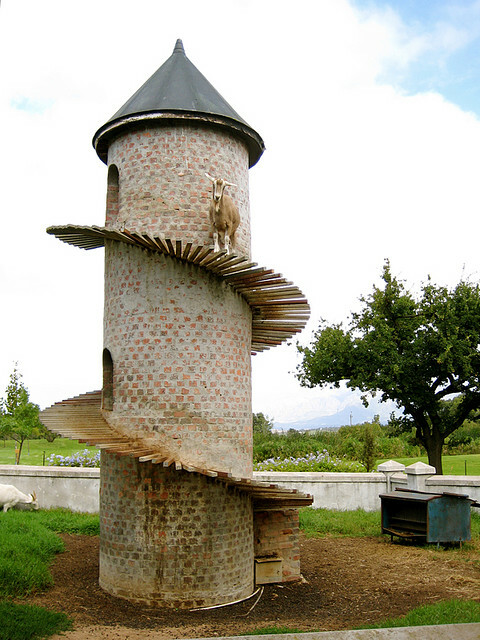 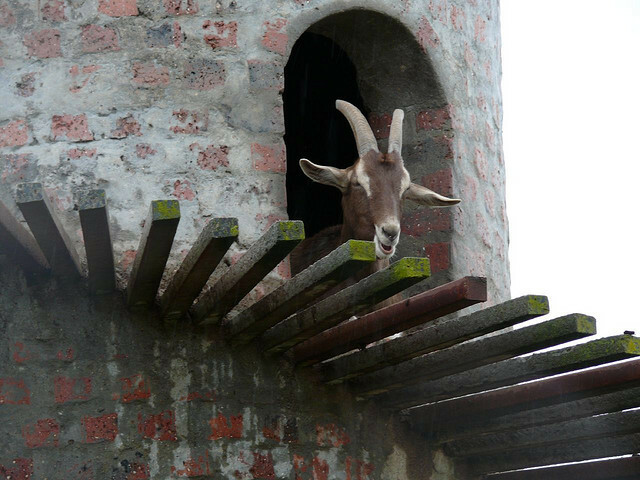 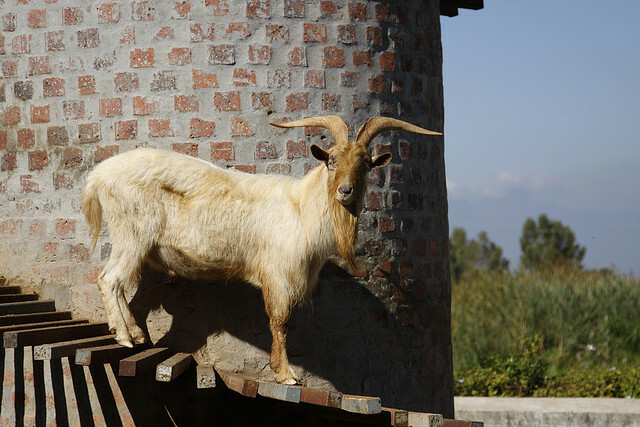 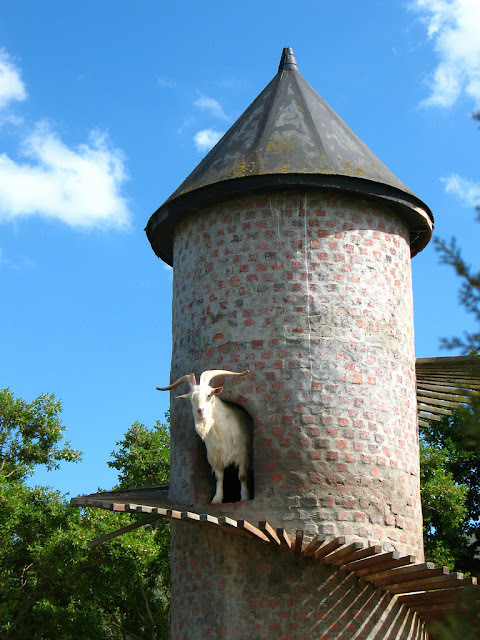 That means that only six or so get to live the high rise life but the goat tower has become a symbol of the farm even if it is better known for its wine than its goat’s cheese! 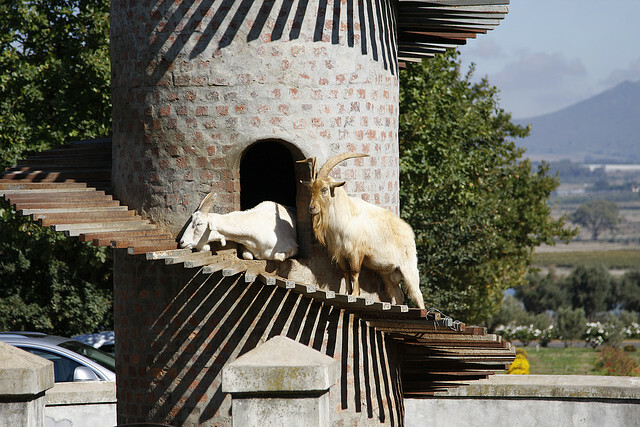 Since the construction of the tower in the 1980s several farmers around the world have seen this wonderful caprine condominium and have followed suit. 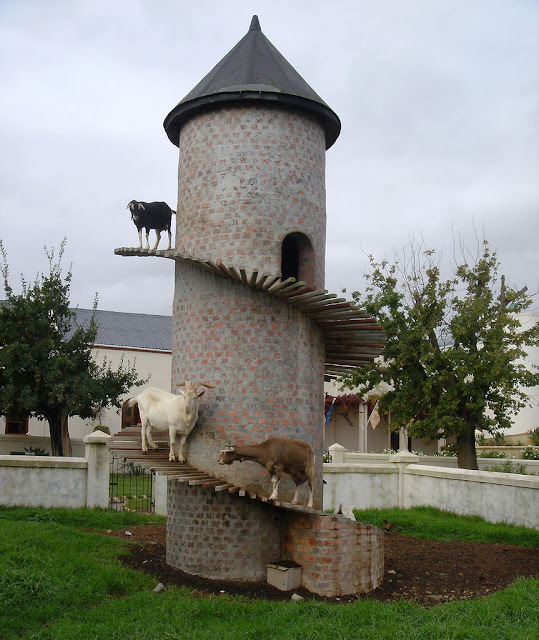 It may not fit the exact criteria for free range goat herding but the goats themselves look pretty happy with their accommodation. 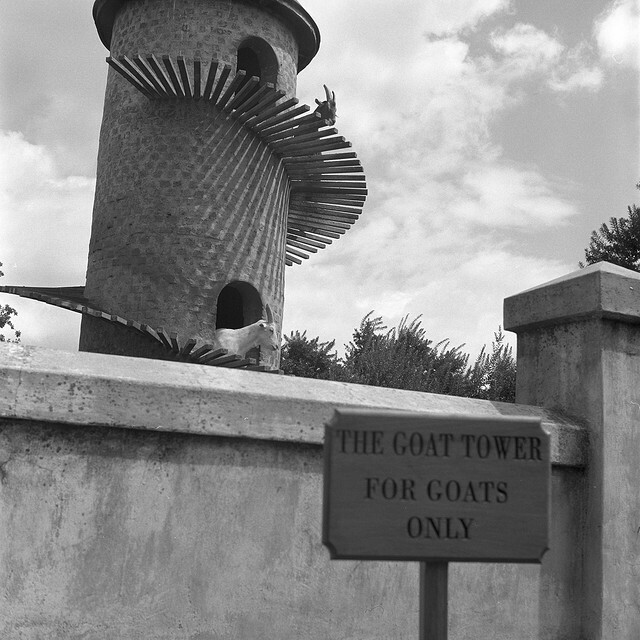 If they all weather time and remain standing one can only imagine the confused expression on the faces of archaeologists in the year 5000 AD.